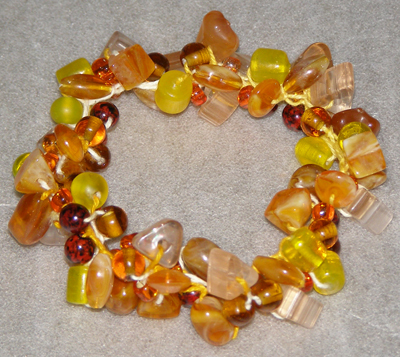 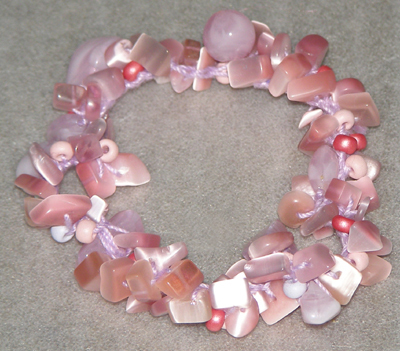 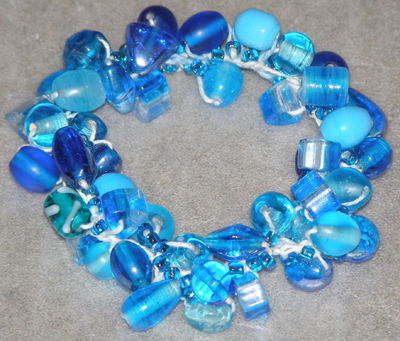 All bracelets were strung on sturdy cotton crochet thread for flexibility. 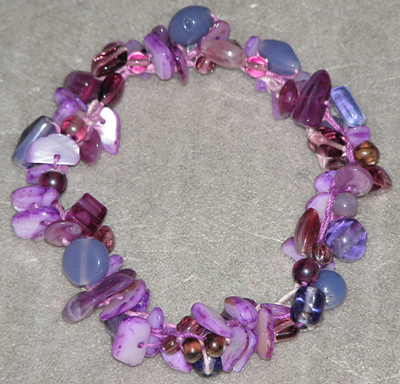 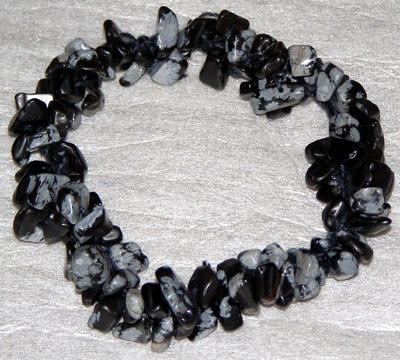 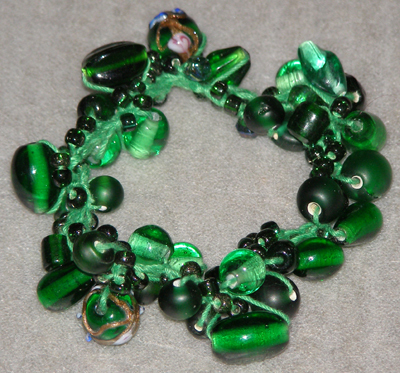 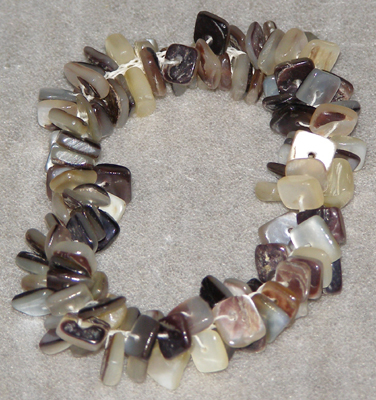 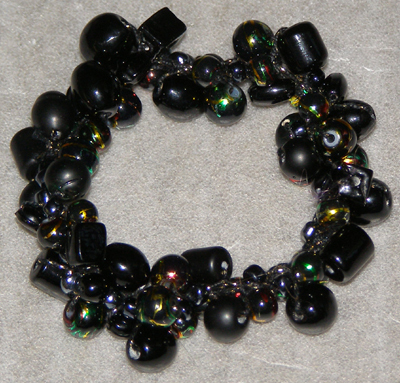 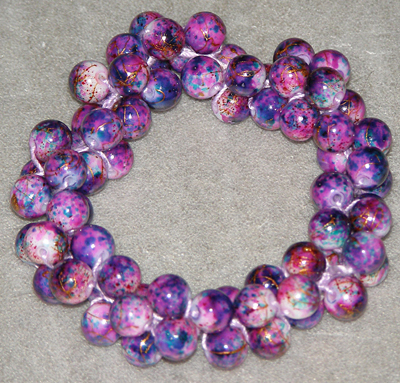 Each bracelet has one or more pairs of earrings designed to match in various styles. 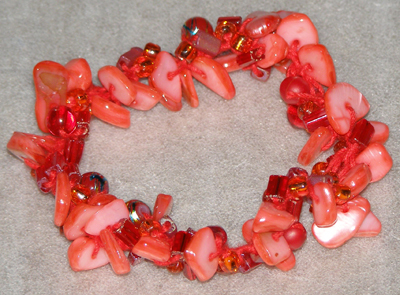 When you purchase a matching pair of earrings (with the same numerical item number), get a bonus of $1.00 off the set.